Zenon Kar, 15, is two years older in 2051 but none the wiser about the dangers of meddling, but when she shows Nebula a new game and how to play it she inadvertently empties out Commander Planks Office and is assigned work detail in the Alien Patrol lab. Worse the space station is now under command of the military and General Hammond is assigned to command the station and boots Commander Plank out of his office. Even worse, he assigns Zenon to look after his daughter who turns out to be her old nemesis, Margie, who's demanding and threatens to have her dad kick Zenon and her family off the space station if Zenon doesn't obey her. Zenon then discovers that her space station is being decommissioned due to damage from the plot by Wyndum and Lutz and sneaks down to Earth to try and stop it after getting a message from aliens that seem to want to meet with Proto Zoa, but Margie wants to go too and sneaks down to Earth as well, but making it look like Zenon forced her to go with her. With the help of Aunt Judy, the girls track down Proto Zoa who has gone into hiding due to a dry spell and convince him to join them. With Margie, Aunt Judy, Nebula, Orion the Alien Patrol lab guy, Proto Zoa and her mother, Zenon goes to meet with the aliens near the moon. Unfortunately their ship runs out of fuel and they nearly crash to their deaths on the moon, but the aliens show up and rescue them. 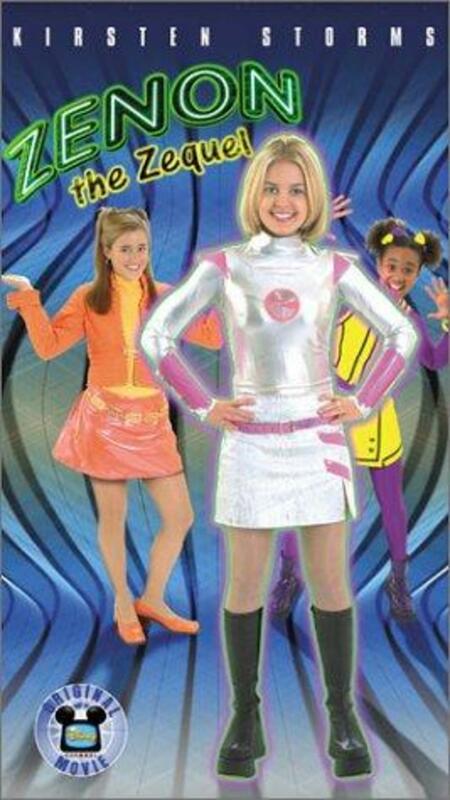 The aliens turn out to be friendly and communicating with Zenon telepathically, reveal that they have been lost in space for three years and need the ship's navigation charts to get home, thinking it impolite to just take them. After getting the charts, they then tow the ship back to the space station where General Hammond refuses to relent, saying the space station is too badly damaged and must be destroyed. Margie stands up to him for once, but it isn't enough until the aliens return and repair the space station as a thank-you gift for helping them. With the space station saved, Commander Plank and General Hammond are assigned to command it together and Plank and Aunt Judy get married at a wedding that Proto Zoa plays at, dedicating his new song to Zenon having been revitalized by the whole experience. It's also realized that the aliens were actually trying to communicate with Zenon, not Proto Zoa and were using the transmission of his old concert to do so. Margie convinces her father to let her stay and she and Zenon become friends while Zenon gets a possible love interest in Orion. Regions are unavailable for this movie. Click the "Watch on Netflix" button to find out if Zenon: The Zequel is playing in your country.